It can be hard to find the best canned cat food for indoor cats. The options are surely plentiful. And if your cat is anything like some of my patients, she’ll also have a strong opinion about what is good enough for her food bowl. Don’t worry. We’ll help you find the tastiest and healthiest cat food for indoor cats. Whether your indoor kitten is young or aging, slim, or in dire need to lose some pounds, we’ve got you covered. First off, let’s look at the science behind choosing a good cat food for indoor cats. If you have decided that your cat should be indoors only, you wonder about the implications for your kitten’s health. Indoor cats certainly have a longer average life expectancy than outdoor cats because they escape the risks posed by cars, dogs and wildlife. They are, however, more likely to become overweight, because they don’t have to work for their food and generally get less exercise. With obesity and inactivity comes a higher chance to develop urinary tract issues. This is most especially a concern for neutered cats. Indoor cats are also more likely to become diabetic than outdoor cats. This means that it becomes even more important to choose the healthiest cat food for indoor cats. Hydration plays a key role in the prevention of feline lower urinary tract disease (FLUTD). Since our house cats are descendants of the Middle Eastern wildcat, which was accustomed to living in the desert with little water, they still have the tendency to drink very little. Wildcats take up most of their fluids through the prey they catch. Since your indoor kitten won’t be catching many mice, hydration comes through food. This is where wet food comes into play. 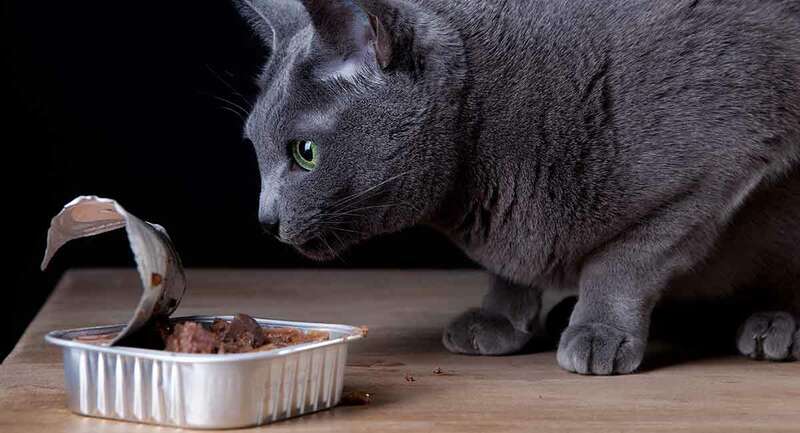 Food with a high water content has also been shown to decrease the amount of calories that cats consume, which is another plus in the battle against obesity. And the best thing about canned food is that cats generally can’t get enough of its taste. Next, let’s have a look at some of the features of the best canned cat food for indoor cats. Cats are pure carnivores. A wildcat will basically eat nothing but prey. Veggies and fruit are not strictly necessary for cat nutrition, and the same goes for grains. Therefore, the healthiest cat food for indoor cats will contain tons of protein, some healthy fats and little carbs. A diet high in carbohydrates (as is often the case if cats are fed exclusively on kibble) has been linked to obesity and a higher risk of diabetes in cats. What about grains? Are grains bad for your cat? The answer to this isn’t completely straightforward. Grains are certainly not a needed staple of your cat’s diet. But the often-heard claim that grains are a frequent cause of food allergies in pets has not been scientifically proven. Either way, grain-free foods tend to contain less carbs than foods made with grains. Therefore, it’s certainly not a bad idea to choose a grain-free option as the best food for your indoor cat. There is no list of “best canned cat food for indoor cats” without Purina ProPlan. This one is designed specifically for indoor cats and very well-liked (salmon, yum). It’s free from preservatives and artificial colors, and low in carbs. Crave is the carnivore’s dream. High in protein and closely mimicking what your cat would eat in the wild, this is truly a good cat food for indoor cats. This food by Weruva is not only good for your cat, but also for our planet. The ingredients are all sustainably and ethically sourced. The wild-caught tuna is 100 percent dolphin safe, for example. When asking what is the best cat food for indoor cats, you won’t find an answer without “Weruva” in it. This food by BLUE Freedom is also grain-free and all-natural, and it includes hairball protection. It contains cranberries, which are said by the manufacturer to promote urinary tract health. The science hasn’t quite backed this up yet, but it’s certainly worth a try. 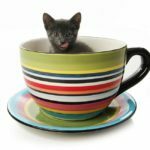 Now that we’ve seen the healthiest cat food for indoor cats that are already fully grown, let’s have a look at the best canned cat foods for kittens. Your indoor kitten will need a special kitten diet until she is about 12 months old. Purina also comes out strong in the kitten department. With this easily digestible chicken variety that contains loads of vitamin E for the developing immune system of your kitten. This kitten food by Instinct contains no grains, no corn and no artificial preservatives. Nature’s Variety uses only cage-free chicken and wholesome, natural ingredients. It boasts high-protein content and plenty of healthy fats for your kitten’s brain development. If your kitten could choose which food to buy, BLUE Healthy gourmet kitten would probably be it. This pate is definitely an all-time favorite canned food for indoor kittens. It’s also healthy, grain-free and contains only natural ingredients. Your cat may not seem “old” to you at 8 years of age, but he or she is now officially considered a senior—at least in terms of food. 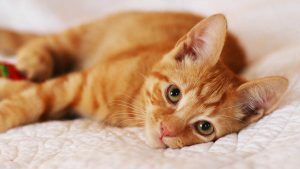 At this point in his or her life, it’s worth switching your kitten over to a cat food for “mature” or “senior” indoor cats to ensure that all the needs of an aging cat are met. Read the labels carefully. Some brands differentiate between different life stages of an aging kitten (for example, 7-plus or 11-plus years of age). Halo Senior is hands-down the best canned cat food for indoor cats above the age of 8. Grain-free (with nothing but natural ingredients) and low calorie, this is a great choice for your senior kitten. It also contains green-lipped mussels, which works wonders for your kitten’s aging joints. This one does contain some wheat and is a little higher in calories than others on the list. However, it makes up for it in taste. If you have a finicky eater (some cats can become picky as they age), these bites in gravy will have your kitten begging at the food bowl. If your kitten is a little bit “fluffy” (check out this helpful chart to determine your cat’s body condition score), you should consider switching to a canned cat food for weight loss. As we’ve determined at the beginning of this article, obesity is one of the main risk factors for diseases such as diabetes mellitus or feline lower urinary tract disease. While it’s not completely free of wheat and corn, this food by Hill’s Science Diet is low in calories but high in proteins to ensure that your kitten loses fat but not muscle mass. It’s light and tasty, with a high-fiber content to make sure your cat feels full and satisfied. This “ultra light” food is enriched with L-carnitine to boost your kitten’s metabolism. It contains 15 percent less calories than most commercially available canned cat foods. Still, it doesn’t lose any taste points. It will keep your kitten full during her weight loss journey. Maybe you realized your cat’s body condition score is a little on the lower side. Or, your kitten’s been sick and needs some extra sustenance. A healthy canned cat food with a little extra energy will get your cat’s weight back on track. I’ve seen extremely sick, very anorexic cats regain their appetite just by catching a whiff of Hill’s a/d. There’s something about this soft, wet food that drives cats crazy. Here’s a tip if your cat’s appetite is really hard to stimulate. Try heating up a/d in the microwave for 10 to 20 seconds to unfold its irresistible aroma. This offering from Wild Calling is a really good cat food for indoor cats that love the taste of meat. It’s high in protein and healthy fats, and contains hardly anything but pure beef. 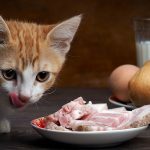 While it’s not designed specifically to fatten up your kitten, it’s notoriously good at stimulating appetites and making sure your cat will meow for seconds. 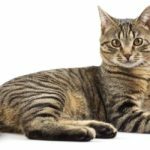 So What Is a Good Cat Food for Indoor Cats? We’s given you suggestions to answer this question and any others that you have about feeding your indoor cat. 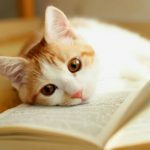 We’ve had a look at the best canned cat food for indoor cats for all your kitten’s life phases and possible circumstances. With canned cat food, ensure that your kitten gets enough water from his or her food. Still, it’s important to offer a clean source of drinking water at any time. Some cats dislike still water in bowls, preferring drinking fountains. Experiment with different water sources in various places throughout the house to find out what gets your kitten drinking. Anecdotally, cats drink more when their water source is placed far away from their food bowls. We’ve seen that obesity is in itself a cause of other diseases, such as diabetes, urinary tract issues or joint problems. For indoor cats (especially neutered/spayed cats), it’s even more crucial to keep a close eye on the scale right from the start. Wet food, with its lower carbohydrate content and satiating effect, can help keep your kitten lean. Another good idea is to distribute the daily portion onto different feedings throughout the day. This closely mimics wildcats’ feeding behaviors; wildcats catch small pray multiple times a day. Multiple smaller feedings are correlated with a better response to glucose (blood sugar). A good glucose response, in turn, equals less risk of developing diabetes. Exercise is just as important, though. To encourage your indoor kitten to move, you can play games with him or her, or use feeding balls for treats. Check out these ideas on environmental enrichment for some great tips.